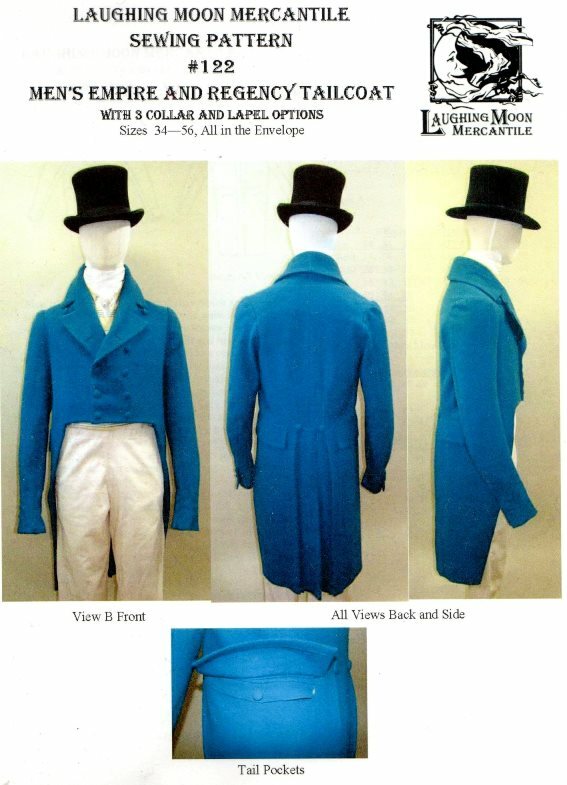 This Tailcoat has no waist seam, no lapel/front seam and is double breasted with the bottom 3 buttons meant to be buttoned. 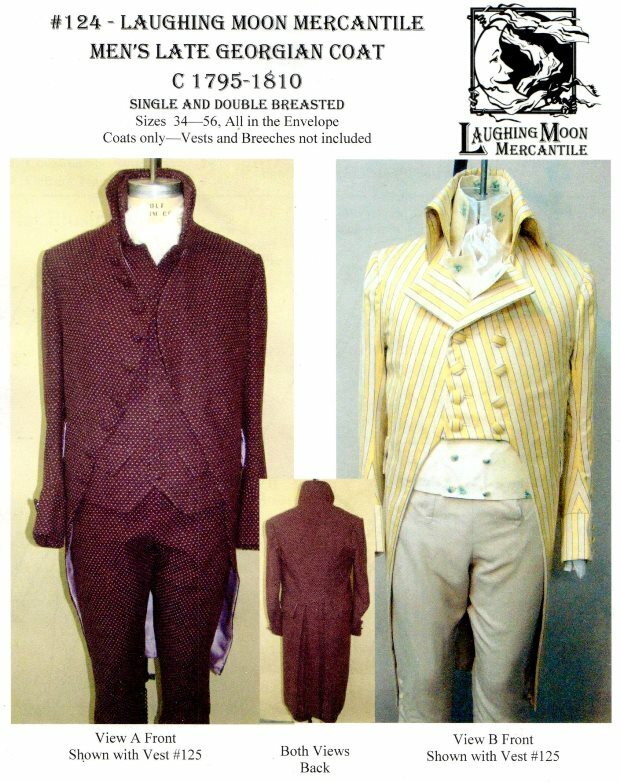 When buttoned the collar and lapels bow out to make room for shirt, cravat, and up to two waistcoats. The collar stands approximately 3 inches (7.6 cm) tall at the back of the neck when folded over. The front of the coat is broad and the back narrow forcing an erect stance forcing the shoulders back with a very close fit. The sleeves are very long so the sleeves with cuffs end at the knuckles of the hand as they should for this period coat. 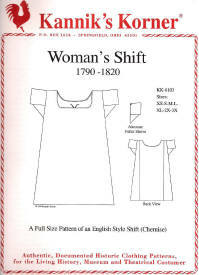 The sleeves fit very closely except at the top where they are puffed and full. There are two separate tails that overlap at center back. The coat has an inside breast pocket and there are two tail pockets. The side of the front has two pocket flaps that cover the opening of the tail pockets.